Welcome to Plumsock, a lovely enclave many consider "the best kept secret in Willistown". 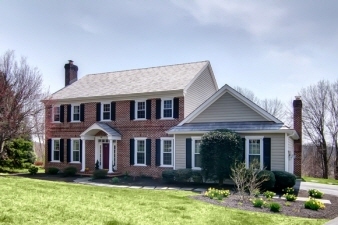 Beautifully updated colonial: 2-story foyer w/ turned staircase; handsome study w/ French doors; hardwood floors & moldings highlight elegant L/R w/ fireplace & gracious D/R. STUNNING RENOVATED CUSTOM KITCHEN w/ granite counters, ctr island, Wolf gas cooktop, double-ovens, Sub-Zero & butler's bar; sunny breakfast room open to F/R w/ 2nd fireplace; sliders to 2-tiered deck overlooking Sylvan pool & open space. Laundry/mudroom w/ access to oversized 2-car garage; updated P/R. King-sized master suite w/ renovated m-bath. 3 additional bdrms & hall bath on 2nd floor. Daylight walk-out finished lower level w/ media center & wet-bar, full bath & addt'l unfinished storage. Best of all worlds location: easy commute to center city PHL, Airport & Delaware; minutes to corporate centers, and the Main Line (new EA campus).